Lauren is a Partner at Highline BETA, an early stage investor and a startup co-creation firm that launches and funds new ventures with leading corporations and entrepreneurs. Highline BETA works with forward-thinking, Fortune 1000 companies to reimagine and co-create the future of their industries through Corporate Innovation Programs, New Venture Creation & Investment Funding. Previously, Lauren led operations at Highline VC, a Pre-Seed Fund & Acceleration Platform that invests in innovative technology companies conquering global markets. With offices in Toronto and Vancouver, Lauren was responsible for evaluating deal flow, portfolio management, overseeing national programming and driving new platform initiatives to better support portfolio founders. 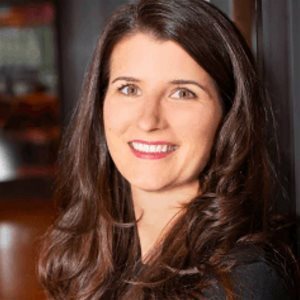 Lauren is an active speaker and recognized leader in the Canadian tech, accelerator and innovation ecosystems, through her contributions to various Boards and other national and global initiatives. She has served as an active Board member for the National Angel Capital Organization (NACO), Canadian Acceleration and Business Incubation (CABI) Association and Vancouver Entrepreneurs Forum (VEF), and has led multiple initiatives to support and empower women investors and entrepreneurs, including her role as Executive Director of Female Funders, a global community of female angel investors and innovators.